SALT LAKE CITY – A judge recently assigned to oversee the Recapture Canyon case involving San Juan County Commissioner Phil Lyman may disqualify herself, citing possible conflict of interest. Unless the parties involved agree to waive the issue, a new judge could be sought in the case. Monday, U.S. District Judge Jill N. Parrish was assigned to oversee the case surrounding the 2014 ATV protest ride in Recapture Canyon, after Judge Robert Shelby recused himself from the case. 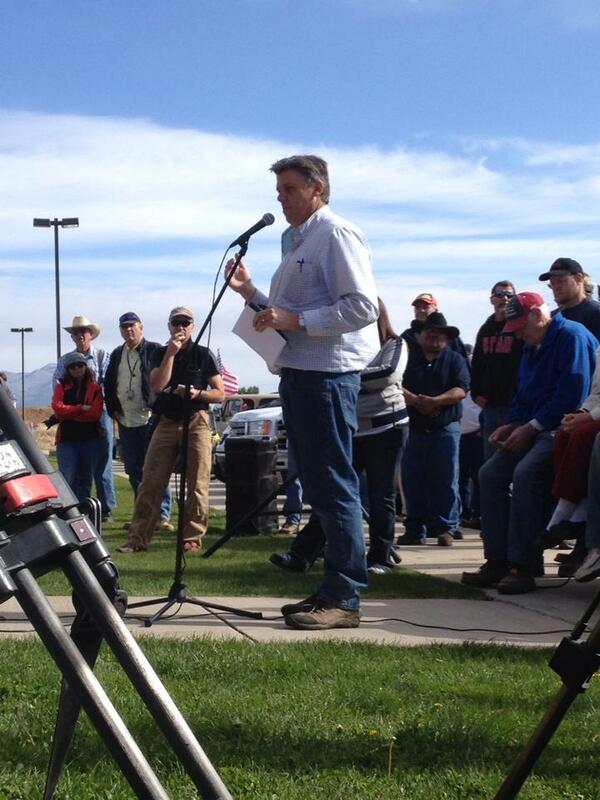 Attorneys for San Juan County Commissioner Phil Lyman, who was convicted by a jury in May for his role in the protest ride, filed a motion asking that Shelby step down from the case. They pointed to his long-time friendship with Steven Bloch, the legal director for the Southern Utah Wilderness Alliance, as a conflict of interest. Due to the letter and potential doubts concerning Shelby’s impartiality brought up by the motion filed by Lyman’s attorneys, Shelby stepped down. Parrish may soon do the same. In papers filed Thursday, Parrish recounted her time as an Assistant U.S. Attorney, from 1995-2003. During that time, she represented the United States and Bureau of Land Management in three cases related to Utah’s R.S. 2477 involving Millard and Garfield counties. One of the cases also involved SUWA. Parties involved in the case have seven days from the disqualification notice’s filing to reply. 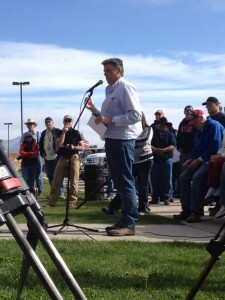 On May 10, 2014, Lyman, along with Monticello City Councilman and blogger Monte Wells and others, took part in an ATV ride into Recapture Canyon near Blanding, Utah, to protest its closure by the Bureau of Land Management. The BLM closed access to the canyon in 2007 in order to protect archaeologically sensitive sites found within it. However, locals claim the closure was arbitrary and bypassed a federally mandated review process. The BLM maintains the protest riders didn’t have permission to go into the canyon, thus rendering it an illegal activity. The agency charged Lyman and Wells and three other men accordingly. One of the men had charges dropped early on, while the other two were acquitted. Following a multiday trial earlier this year, both Lyman and Wells were convicted of misdemeanors for conspiracy and operating motor vehicles on closed public lands. In a recently filed motion for a new trial, Lyman’s defense team questions the BLM’s authority to close the road into the canyon, arguing it is actually a protected R.S. 2477 public roadway. If closure of the road was illegal, then the ATV protest ride, and Lyman’s role in it, was not, attorneys said. Federal prosecutors are seeking jail time for both men. The two face up to $30,000 in fines and over $95,000 in restitution for alleged damage done to archaeological artifacts during the protest ride. Lyman and Wells were scheduled to be sentenced Sept. 15. Sentencing has since been postponed. The group that rode through Recapture Canyon was very aware that it was closed to motorized vehicles. There were numerous news articles about it ahead of time. The group chose to ignore the warnings and now wants to escape the consequences . If you protest, you should be willing to accept what happens. There are plenty of judges available to hear the case.